A pre-Christian couple who attended an event with Dr. Richard has requested Bibles from the believing friends who invited them. Ten pastors now have visas to attend the 2018 Dallas GPA! Four more have interviews next week. GPA Zambia starts March 1; GPA Laos March 8. Ramesh Richard is scheduled to speak at the DTS chapel service Friday, March 2. Just a few weeks ago Dr. Richard talked with a group of pre-Christians in a closed country. He got word from the organizers this week that “by God’s Grace we were able to give two Bibles to two of my colleagues, on their request.” Praise be to the Lord! Please keep praying for these and many others newly exposed to the Lord Jesus. Another praise: Ten pastors are now visa-approved for the Dallas GPA! Of the pastors who had interviews this week, one was approved, one denied, and one we have not yet heard from. Four more visa interviews are scheduled next week: Pastor M – Senegal, Pastor N – Pakistan, Pastor S – Tanzania, and Pastor J – Bolivia. GPA Zambia (2) starts Thursday, March 1, the Lord willing, with GPA Laos following on March 8. Each national gathering is precious to attendees and strategic to effectively proclaiming the Lord Jesus to large numbers of individuals. Ask God to bring the right 25 pastors to each, to protect all involved, and to connect, unite and strengthen them for His glory. Friday, March 2, Dr. Richard is scheduled to speak at the Dallas Seminary chapel service. Please pray for God’s hand to be on him. As many have kindly advised, the process of grieving his dad’s passing will take time. Yet, he also hears his dad’s voice in his head and heart citing John 9:4, “Night comes when no man can work.” Pray for wisdom, peace, energy and patience in balancing needs and realities. Yesterday, Pastor A from Albania was approved for a visa to come to the 2015 Dallas GPA! Seven of our 21 accepted candidates now have visas. Those with upcoming visa appointments include: Pastor N (East Asia) – Jan. 29; Pastor N (West Asia) – Feb. 3; and Pastor A (Middle East) – Feb. 10. Pastor A was accepted to the Dallas GPA last year, but delays in getting official documents prevented him from coming. Please pray the Lord’s favor on each pastor for visa approval and for raising his half of the GPA airfare. The Lord willing, a key GProCongress team member who was unable to attend last week’s meetings will fly in to meet with Dr. Richard and with the RREACH Board this Friday. We are asking the Lord’s clear direction for these meetings, as well as for the provision of a Congress program manager and timely funding. Dr. Richard is also scheduled to speak at the DTS Chapel on Friday (Jan. 30). On behalf of Dr. Richard, we thank you for remembering these needs and offering thanksgiving to our Lord Jesus Christ. Please pray for Dr. Richard and RREACH staff as they travel to the Dominican Republic today, where GPA Dominican Republic is happening now. Pray for Dr. Richard as he travels to Cuba and speaks at a pastors conference there. Pray that those attending will arrive safely and that the conference is encouraging for them. 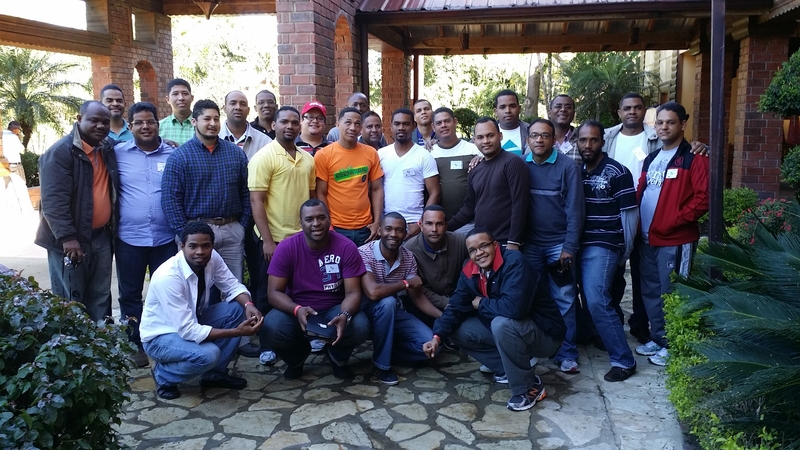 Pray for GPA Dominican Republic and the 25 pastors attending it. Pray for Dr. Richard and other master coaches as they teach and for the delegates to be strengthened and connected to one another. Join us in praising the Lord for overwhelming encouragement from other pastoral trainers around the world as Dr. Richard continues to seek God’s wisdom on the location of the 2016 Congress after Manila, Philippines had to withdraw because of the November super-typhoon. Multiple viable location possibilities have been suggested, so please continue to pray for wisdom, discernment and humility as a decision is made. Praise God for the early response we are getting to Dr. Richard’s 2014 State of Humanity address “LifeSaveyour.” Since Jan. 1, 850,000-plus people have been exposed to the content on Facebook and 24,844 have “liked” it. 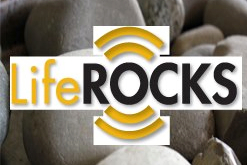 Just over 10,000 people have visited our program-specific web site (www.LifeRocks.org), 591 have indicated that they have prayed and asked the Lord Jesus to be their Savior and 120 have entered into follow-up e-mail conversations with worldview-trained evangelists. We hope you’ll visit the site and share it with your friends! Please continue to pray that the lost would come to know the Lord Jesus through our LifeRocks Facebook page and web site. Finally, please pray for Dr. Richard as he delivers the chapel address at Dallas Theological Seminary on January 28. Pray that Dr. Richard would be well-rested after quite a bit of international travel this month and that God would use his words to encourage students, faculty and guests attending. If you are in the Dallas area and would like to attend a luncheon following the chapel, please email me at edie@rreach.org by Jan. 20. We’d love to see you and update you on what RREACH is looking forward to this year.